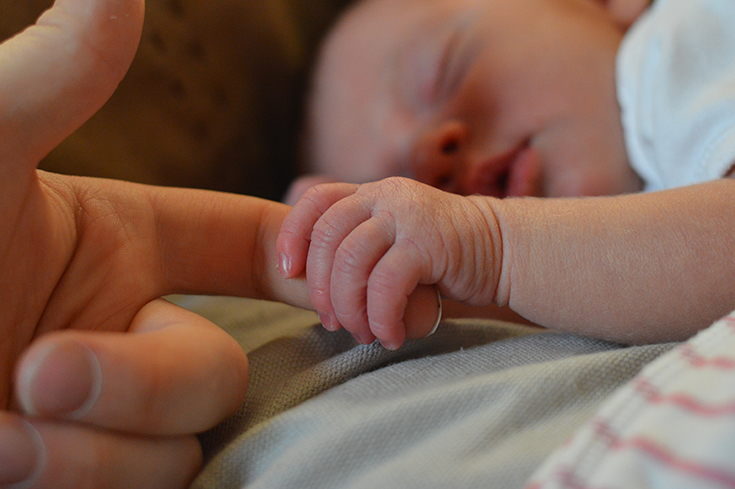 Cosleeping with a baby can be very convenient for both baby and mom. The baby, who spent nine months in a warm, soft and cramped space, does not feel comfortable in a big and open baby crib. The baby is accustomed to hearing mom’s heart and her breath, may feel lonely and scared to remain without the usual sounds and sensations they are used to feeling. Constant contact with the mother gives the child a sense of both security and tranquility. The Bedtime Ritual – The ritual before bedtime must be routine, repeated from day to day, in the same sequence of actions, which are designed to designate for the baby the boundaries and the frames of the time before sleep. Since children do not determine the time by the clock, these actions are best for baby’s preparation for sleep. The bedtime ritual must be performed both before the night and before the day’s sleep, but usually, the daily ritual is shorter in time and does not include some actions. The ritual becomes most important for children by 4 months, and it is worthwhile to introduce it to the baby in advance. But to introduce rituals into your life is never too late. Swing – Swaying, before going to bed, is perfectly permissible, it quickly calms the baby. You can continue to rock the baby a little on your hands, not allowing him to fall asleep or in a crib, but at the same time, you can sing a lullaby, and then put the child in a crib where he will fall asleep himself. The high-quality crib mattresses – Not every mattress is the same. Be sure to create a comfortable bed for your child with the help of a quality mattress that is the correct size. “Before choosing a good mattress pay attention to the size of the crib (an error of 1-2 cm is permissible) and materials of the mattress for the crib”, noted Happysleepyhead. 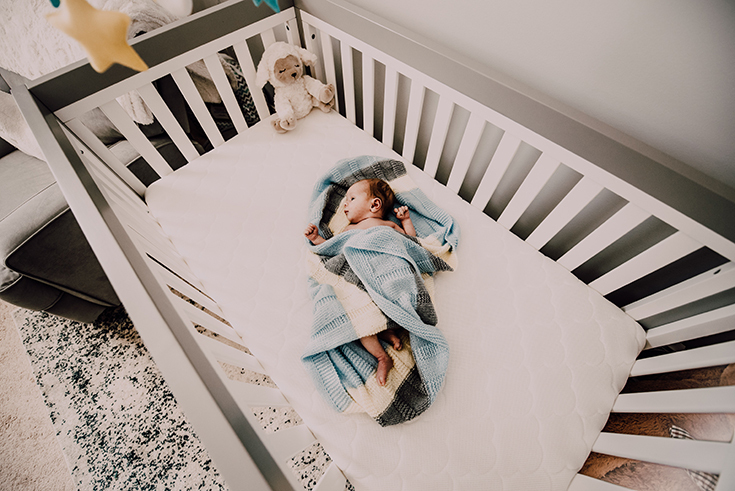 Getting a mattress that is the correct size will prevent any gaps between the mattress and the side walls which could be hazardous for your baby. Some mattresses have two sides: softer and denser. In the first months of life, the baby is recommended to lay on a more rigid side of the mattress for safety reasons. The baby still has weak neck muscles, and if it accidentally rolls over to the abdomen, it will not be able to lift and turn the head on the soft surface of the bed to breathe freely. Choose only the high-quality crib mattresses that will help baby get a good better night’s rest. The principle of gradualness -The essence of it is as follows: Mom, laying the baby at the right time to sleep and have done all the necessary rituals, must leave the room. If the child starts to cry, you need to approach him, calm him (but not put out of bed in any case) and again, wishing a good sleep, get out because it can damage his/her brain development, said The Guardian. Over time, this will begin to work, most importantly when you wish the child a good night for the second time slowly check whether you need to change his diaper. Creating a comfortable environment – Create a pleasant environment in the room where your child sleeps. The air temperature should be comfortable and not exceed 20 degrees, but also not fall below 18 degrees. A pleasant muted light will also help relax your child and prevent him from being afraid of the dark. Sometimes you have to redecorate the room in order to make the environment more pleasant for a toddler. New beautiful cot – Buy a new bed with an original design. If the child is about three years old, take it with you, let him show you which bed he likes. On sale, there are original models in the form of a car, a fairy-tale house for a princess, a ship, an airplane. Some psychologists advise you to choose a bed at your discretion, bring home, tie up a large bow, but do not unpack. Curiosity will always prevail, the kid will be interested, what a gift inside. Explain what you bought, tell them that Dad will soon collect a new product, and he will be able to sleep in a new bed, like an adult. Soft toys – You can use some kind of soft toy for sleeping. When a child has such a toy, then with it, he easily falls asleep anywhere. By the way, you can take a toy with you and on a trip, and to a kindergarten. We even recommend buying two identical toys and one to hide. Because if the toy is lost (for example, accidentally forgotten in the hotel room), a real tragedy will take place. And you can have replaced on the spare and your baby sleep well again. Beautiful Sleep Accessories – With a child older than 2-3 years can already be negotiated, explaining that it is time to learn to sleep separately, as an adult. Tell him that you trust him very much and are convinced that he will succeed. Buy a beautiful baby bed linen with a picture of your favorite characters and emphasize that even his mom and dad do not have such one! Pick up interesting accessories for sleep: a comfortable pillow, a night light. Start moving not from the night, but from daytime sleep. Cover the curtains, create a pleasant atmosphere, read a small fairy tale. Use our or own methods and the process of accustoming the child to his own bed will be held not only without bad feelings but even with joy. It is important for parents to let the child know that they will not disappear anywhere, they will not leave him. The kid should feel safe and be able to return to you if something goes wrong. Be prepared for the fact that at first, the child will wake up at night, cry or come to the parent’s bed. In no case do not scold him for it, otherwise, the kid will be afraid to sleep alone.